It’s Oral, Head and Neck Cancer Awareness Week, April 7-14th. 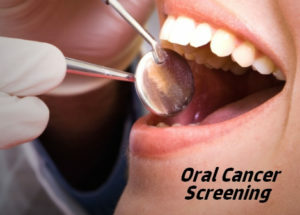 The most common of these cancers are in the mouth, on the tongue and lip. Your Link Dental Care staff is on the front line when it comes to examining for oral cavity lesions. These lesions (sores) in your mouth are inspected visually. When we perform our examinations we aren’t just checking teeth and gums, we look out for any irregularity – white or red lesions, any ulcers and bumps/lumps. The leading causes of these cancers are tobacco, alcohol and the human papilloma virus. Cancers attributed to tobacco have declined, but the number of HPV related oral cancers has increased dramatically with most of the patients between 50 and 60-years of age.